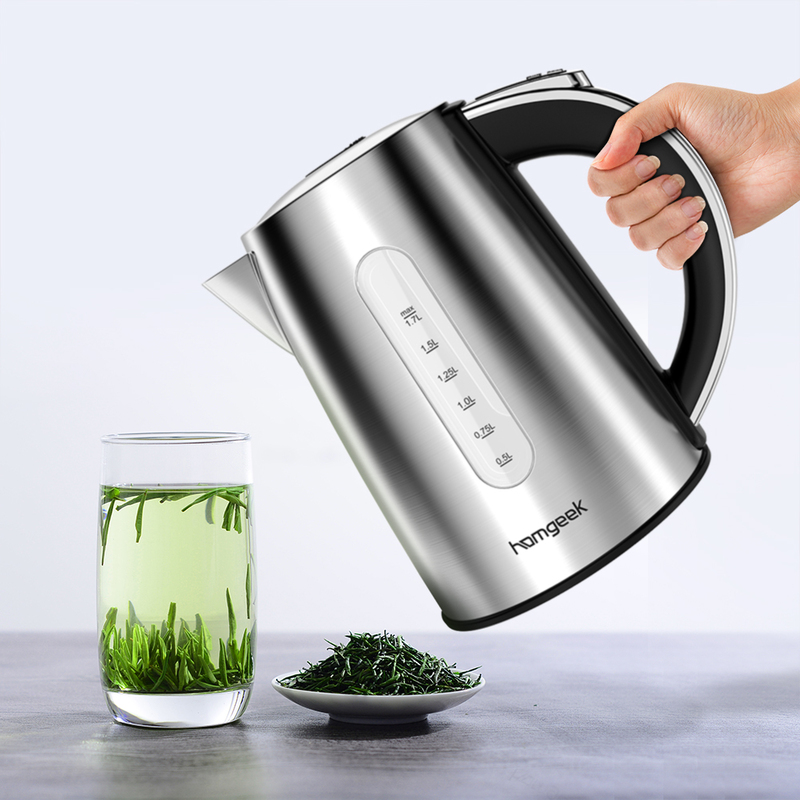 The top notch Electric Kettle features of 1.7L large capacity, 1500W of power for boiling water quickly, easy push button controls with red indicator light, removable & washable spout mesh filter, safety boil dry protection, water level gauge at both side, and the best point is the 6 preset heat settings, which allows for making tea/coffee at the right temperature: 160°F for delicate teas, 175°F for green tea, 185°F for white tea, 190°F for oolong tea, 200°F for French press coffee, and "Boil" for black tea. 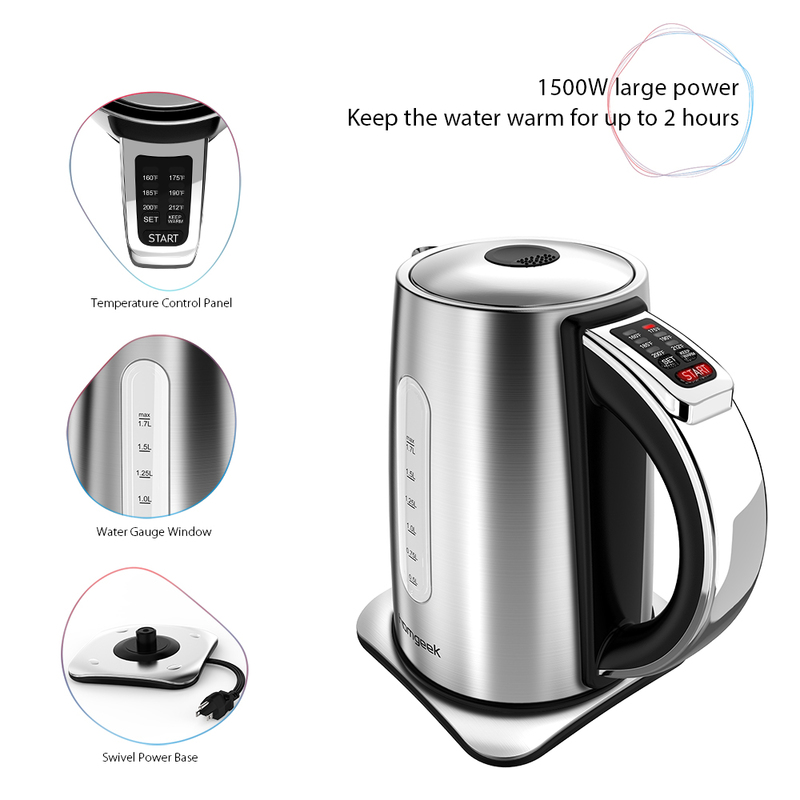 1500W large power: boil water quickly, time saving and power saving. 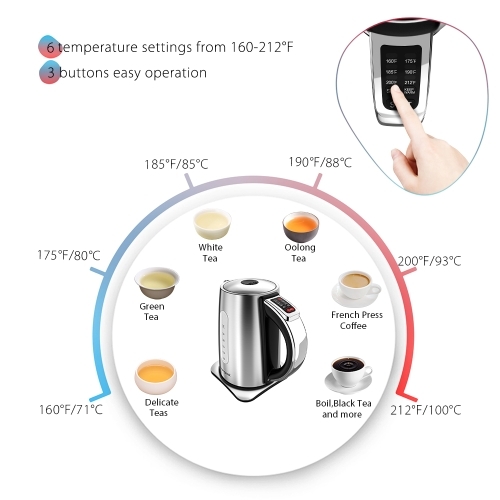 Precise temperature control: with 6 temperature settings from 160-212°F, great for delicate, green, white, oolong, French press coffee and black teas. 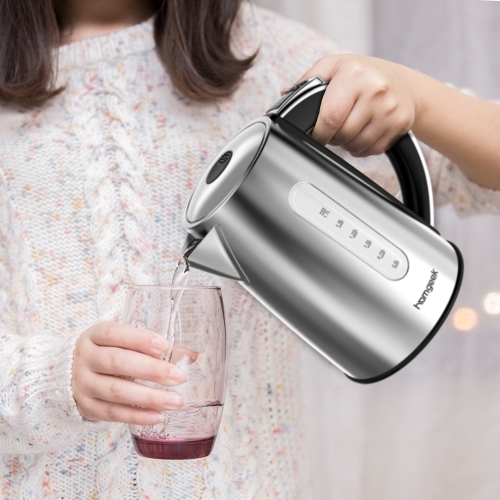 Boil-dry protection: with Otter temperature controller, the kettle will automatic switch off when the water is less than the minimum water level, ensures the safety use. Detachable mesh filter at spout: easy to clean and help to filter out other impurities. 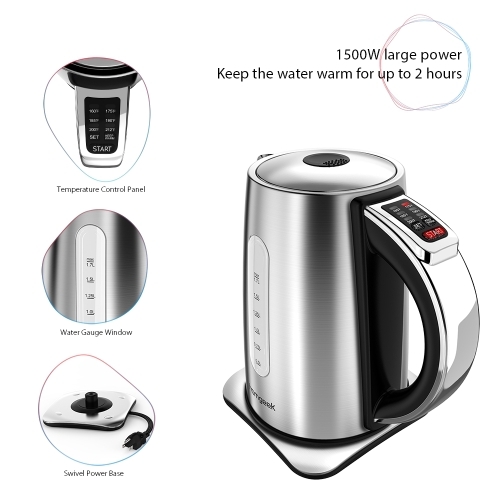 Keep warm function: keep the water warm for up to 2 hours. Automatic lid opening: press the cover open button, the lid will open automatically. Push button control: black control panel at handle, 3 buttons easy operation. 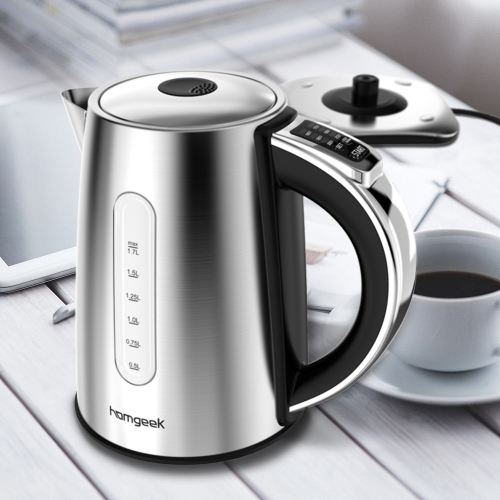 Stainless steel material: food grade 304 stainless steel is safe to use, and rust proof. 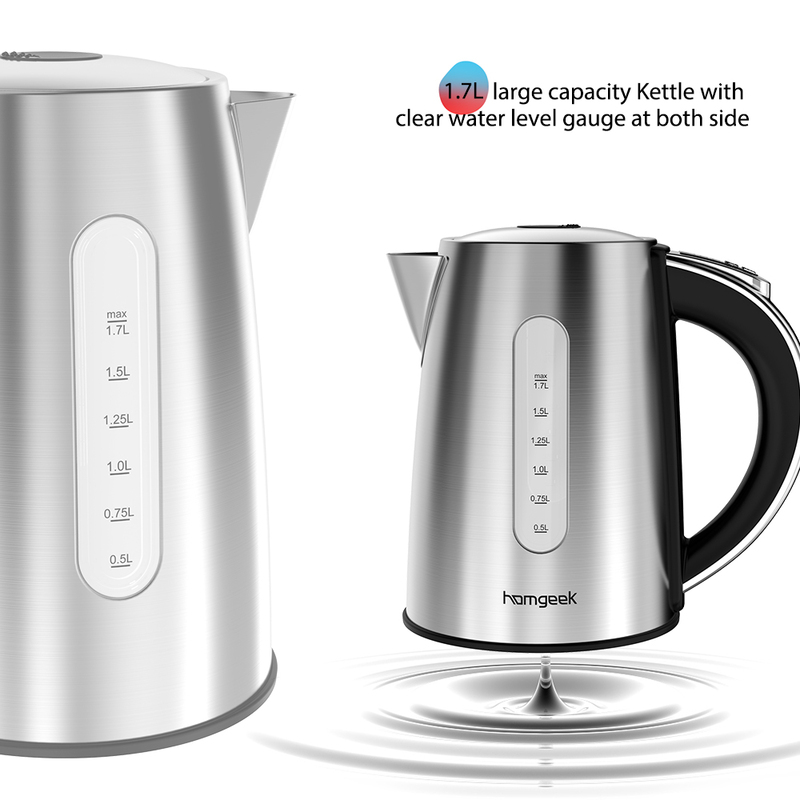 1.7L large capacity Kettle with clear water level gauge at both side. 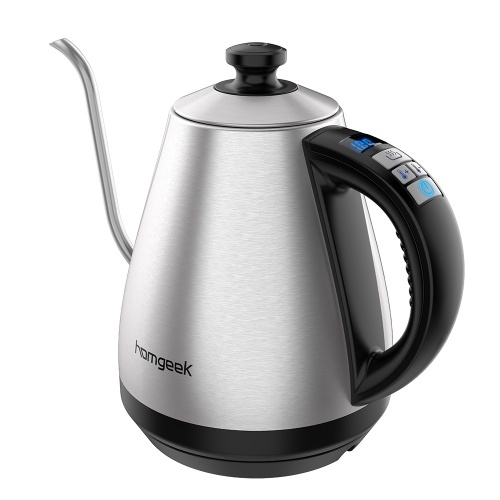 Automatic switch off when water reaches a full rolling boil. No steam-tube in kettle, easy for clean. 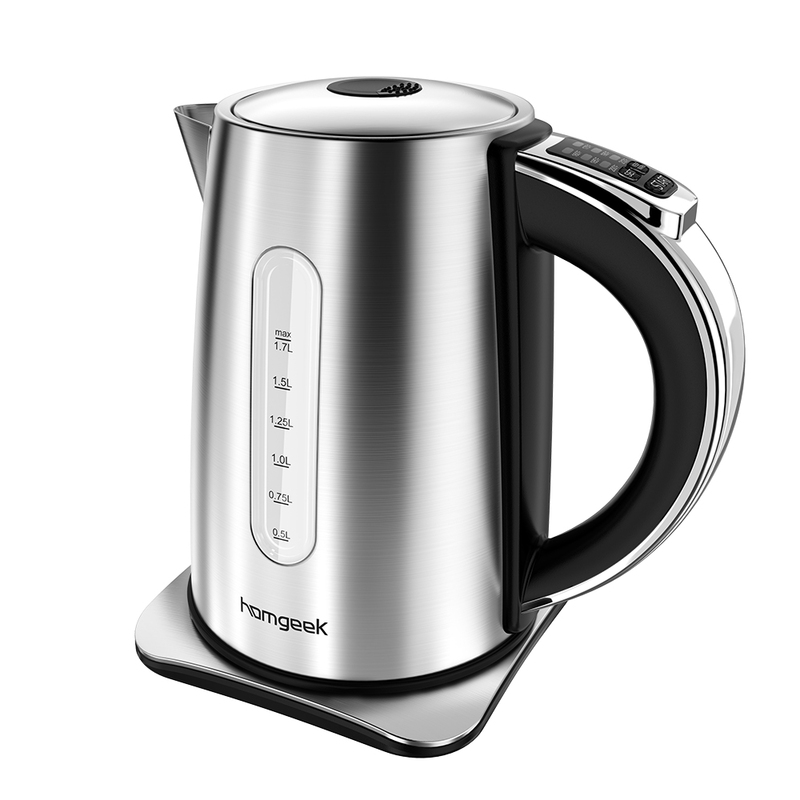 Red indicator light to indicate the related operation. 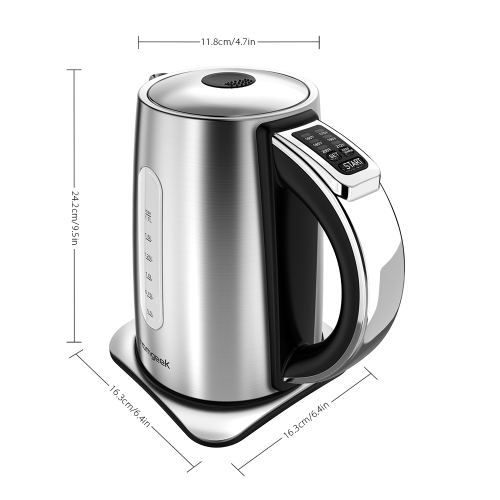 Modern Electric Kettle with simple elaborate design.